Please note: SimPlay ticket is not included in delegate registrations. Who: Anyone from the simulation and/or games community. In Sydney before the official start of the Australasian Simulation Congress (ASC)? 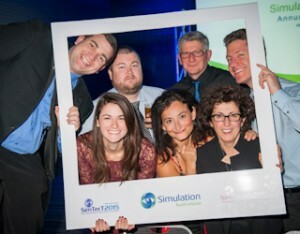 Want to share your passion for simulation and/or games with others in the community? Then come along to SimPlay Drinks! These drinks are a chance for all industries to come together and celebrate the commonalities between them. The drinks are open to everyone with a passion for games and/or simulation and everyone is encouraged to have a chat with people that they might not normally meet in their everyday circles. SimPlay is a great way to ease into the ASC. Tickets for the SimPlay Drinks can be bought via the Australasian Simulation Congress Registration Page. Please note: Welcome Reception ticket is only included in 3-day registrations, but additional tickets can be purchased separately. 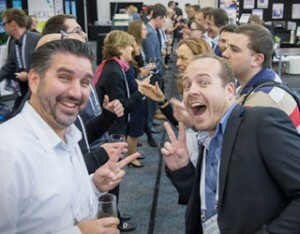 The ASC 2017 Welcome Reception will provide all attendees with a great opportunity to network with fellow colleagues and make new acquaintances whilst enjoying fine food and beverages. Everyone is invited to participate in the SimFringe Speed Networking, a fast-paced icebreaker providing the opportunity to engage in conversation and share information before the bell rings and participants must move along. Sponsors and exhibitors may purchase extra tickets to offer to their clients. 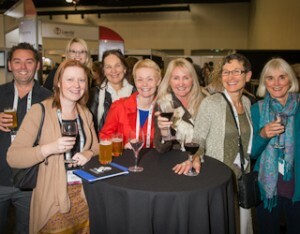 Tickets for the Welcome Reception can be bought via the Australasian Simulation Congress Registration Page. Please note: Awards Dinner ticket is only included in 3-day full registrations, but additional tickets can be purchased separately. The Simulation Australasia Annual Awards Dinner is a prestigious event for the simulation community, held in conjunction with the Australasian Simulation Congress. Simulation Australasia will present awards to recognise important contributions to simulation in Australasia. Awards may include the Ray Page Lifetime Simulation Achievement Award, Simulation Achievement Award and the Simulation Australasia Project Innovation Awards. ASC 2017 award recipients will also be announced. Commencing with pre-dinner drinks, entrée is followed by just a few speeches and award presentations. After the main course, we promise you a highly-entertaining evening! Tickets for the Simulation Australasia Annual Awards Dinner can be bought via the Australasian Simulation Congress Registration Page.